The far east is rapidly building expertise in the field of unmanned space exploration, the incredible success of Japan’s Hayabusa mission is a case in point. 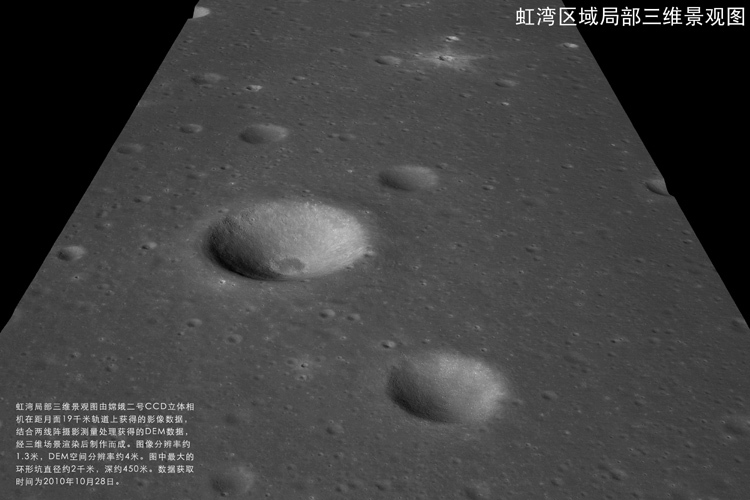 China’s space agency have recently released photographs from their second lunar orbiter, Chang’E-2, and they are breathtaking. Chang’E-2 was launched in October this year, and took 5 days to reach the Moon. 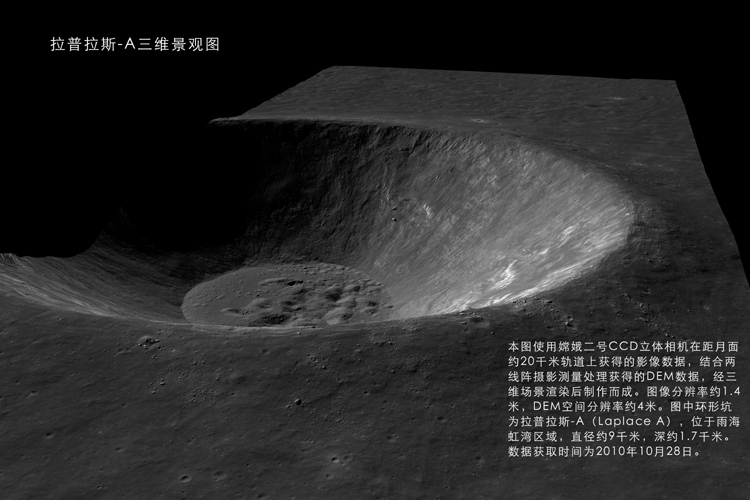 It orbited the moon at an altitude of 100km, and is performing a survey of the lunar surface in preparation for the third phase of China’s lunar exploration project – Chang’E-3 will actually land on the moon. Video footage from the spacecraft’s engineering cameras were recently released, and I have added them to a playlist on the Urban Astronomer youtube channel.